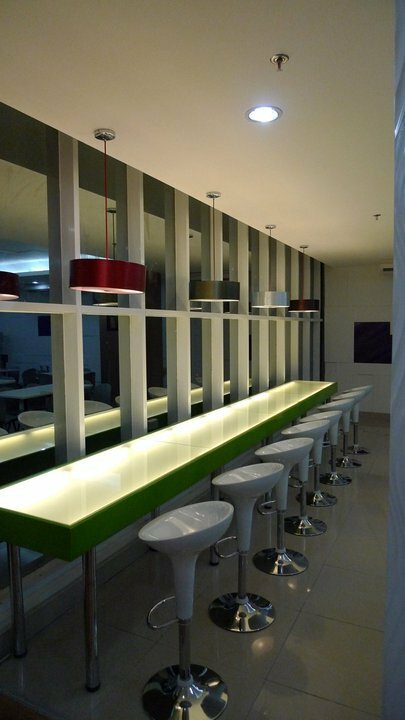 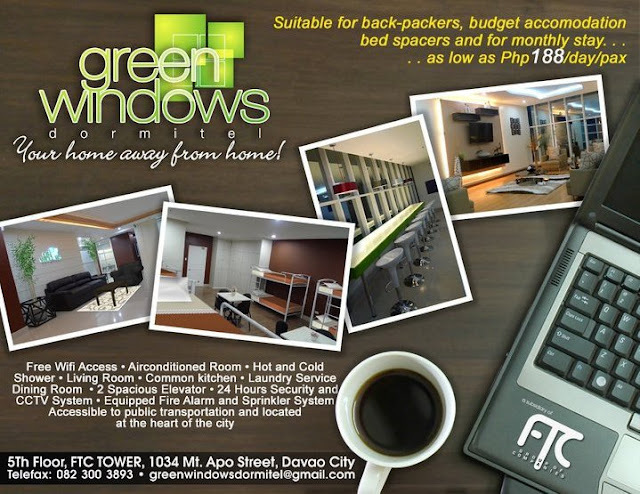 Green Windows Dormitel is a dormitory type 2-Star hotel that particularly caters to travelers who are looking for comfortable accommodation that provides excellent services and upscale amenities with all the conveniences and comforts of a hotel at a budget price. It is located in downtown Davao City and is conveniently close to restaurants, coffee shops, shopping malls, and with easy access to all kinds of public transportation. 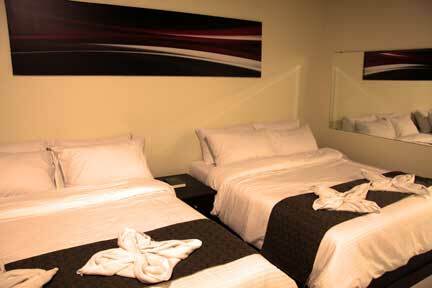 The Dormitel has three types of rooms: Dormitory Rooms, King Rooms, and Suite Rooms. 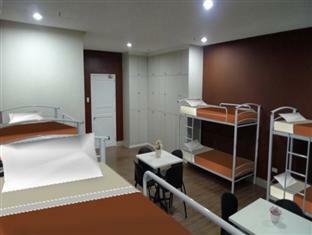 Each of these rooms are meticulously designed to provide guests maximum comfort during their stay in the Dormitel. 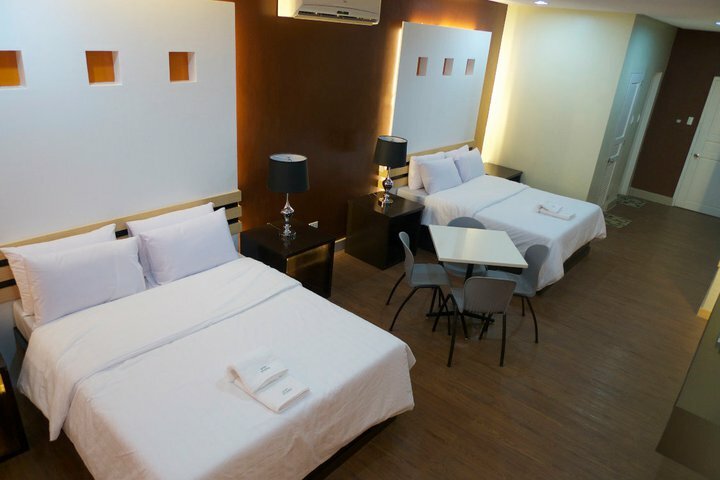 There are five dormitory-type rooms which are ideal for backpackers, transients, and budget travelers and can accommodate 4 to 14 guests. 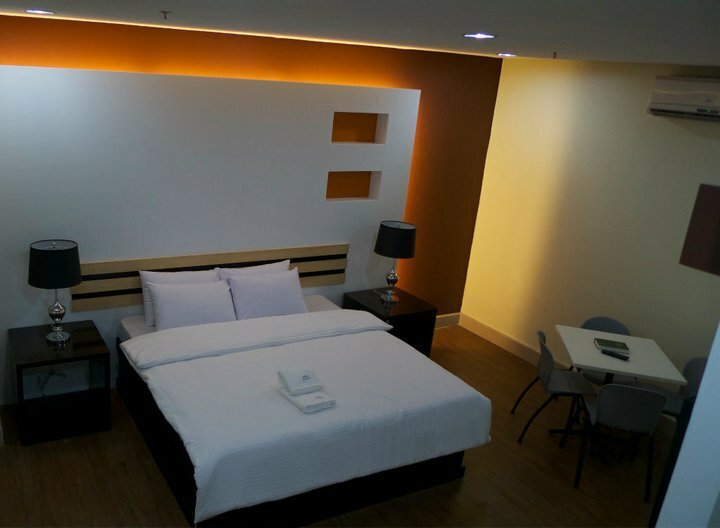 Each room is beautifully furnished with comfortable double-decked beds, multi-purpose tables with chairs, closet for wardrobes, toilet and bath with showers. 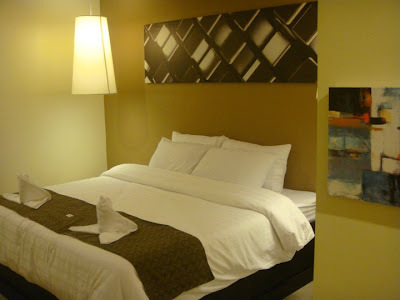 These rooms are very spacious and provide a magnificent view of downtown Davao City. Each of the room is equipped with individually controlled air-conditioning, and furnished with contemporary bed, FREE Wi-Fi Internet access, 46-inch Samsung LED cable TV with remote, FREE Wi-Fi Internet access, and toilet and bath with hot and cold showers. 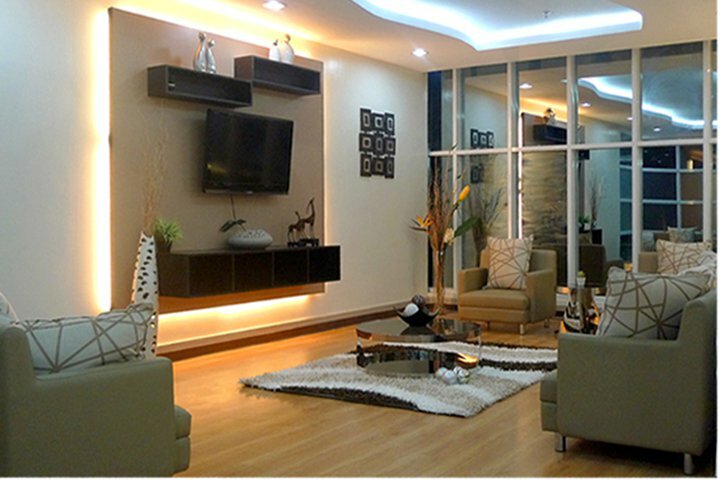 These suites are ideal for travelers who seek luxurious comfort in style. Each of the suite is equipped with individually controlled air-conditioning, and furnished with contemporary bed, FREE Wi-Fi Internet access, 46-inch Samsung LED cable TV with remote, FREE Wi-Fi Internet access, and toilet and bath with hot and cold showers. 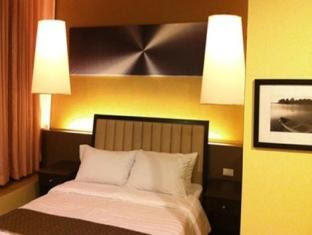 Amenities include a 24-Hour front desk and room service, a 24-Hour security and CCTVs, two elevators with 24 persons capacity each, standby generator set for power outage, fire alarm and smoke detection with sprinkler system, Wi-Fi zone, basement and open parking spaces, and a coffee shop at the 7th floor. 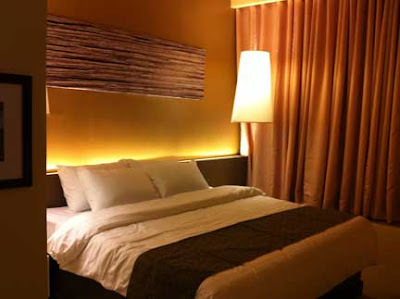 Check-in time is 2 PM and Check-out time is prior to 11 AM. 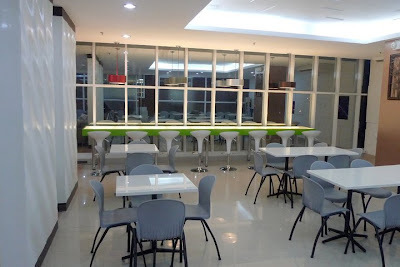 The Dormitel is located at the 5th floor of FTC Tower building along Mt. 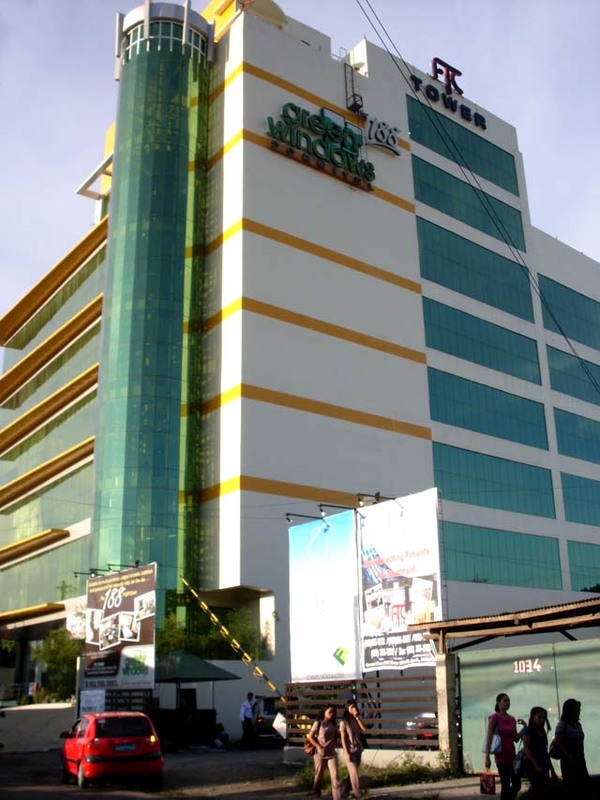 Apo Street in downtown Davao City, and is easily accessible by all kinds of public transportation. 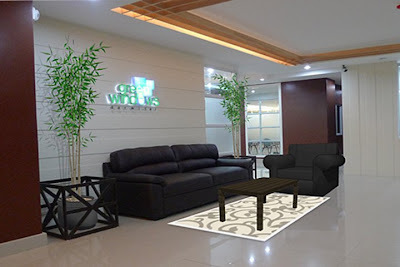 It is close to commercial and business establishments and institutions, shopping malls, dining and entertainment areas, and in close proximity to the Hall of Davao City and the People's Park. 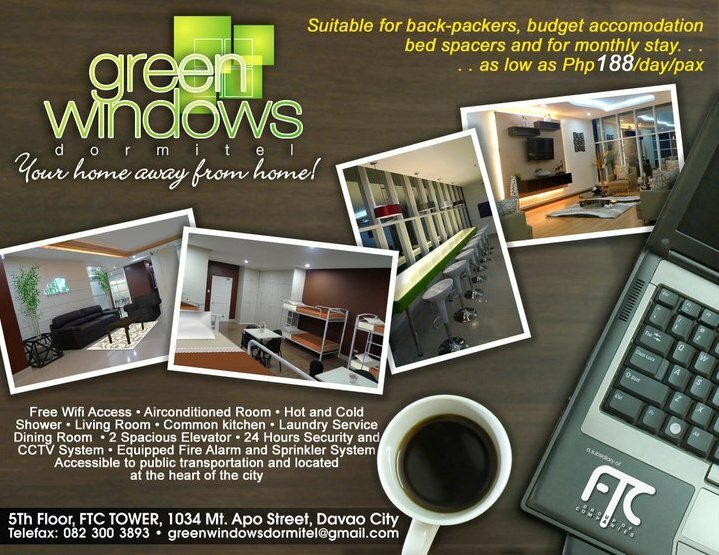 Green Windows Dormitel is a subsidiary of FTC Group of Companies Corporation. Certainly looks clean and nice for guest. Could use a lounge space for people to chat and stuff. 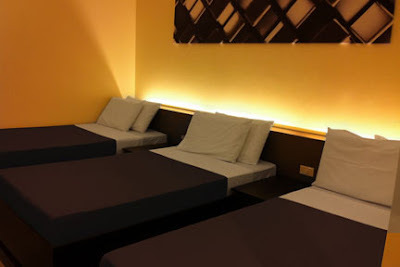 how much room rates for family suite?